Preheat oven to 400F. 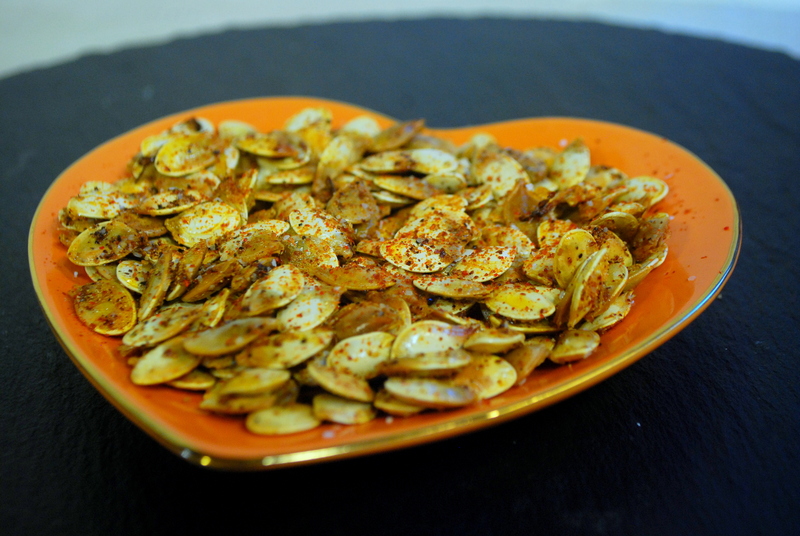 Rinse pumpkin seeds, it is OK if there is still a little bit of pumpkin on the seeds. 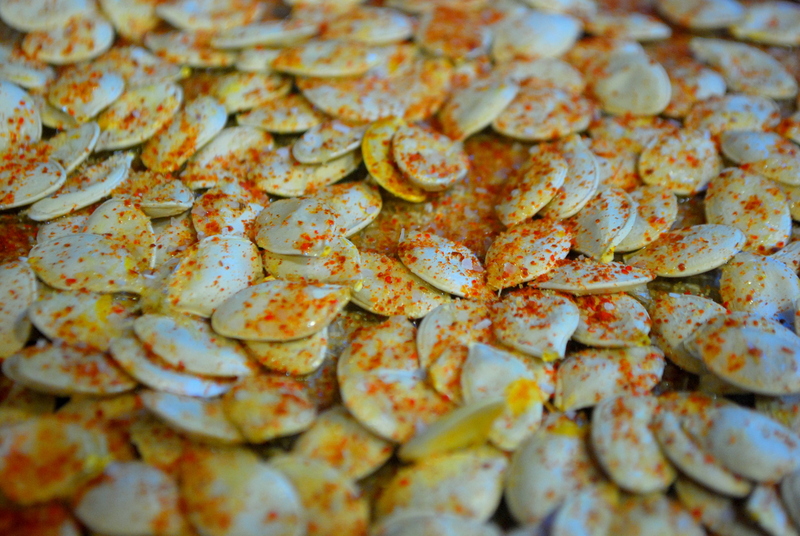 Dry thoroughly, then drizzle with olive oil and sprinkle with salt and spices. Roast for 10-15 minutes. Keep a close eye on these guys as they can go from perfectly toasty to burnt quite rapidly. Use as a salad topping or all on their own, still warm. Mmmmmm, what a great fall feeling you will get from munching on this spicy treat!